ORUPA operates within a democratic and decentralised setup. Today to its credit ORUPA caters to the need of 5500 artisans families belonging to 40 different crafts all over the state of Orissa. To contact all the artisans frequently and to reach at each and every needy artisan timely, we have divided the state into 5 zones with zonal head quarters. 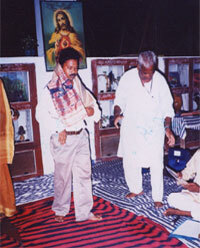 The promotion wing of ORUPA plays a vital role for the development of crafts and craftsmen in the rural and urban areas of Orissa. This wing works for strengthening the backward linkages to organize the artisans and in skill enhancement. It also ensures the participation of members in the decision making process of the organization. These are organized to mobilize the artisans in a common front with a view to explore the needs of the members in different zones. The interaction between members and professionals ensure that small members have a say. They form their own rules and the professionals just facilitate the decision making process. Such workshops help in spreading the message of ORUPA. These are organized with an objective to improve the present skill of artisan members in different crafts from time to time. In order to create a popular brand image, traditional crafts need to be updated and designed in a manner to cater to the customers' aesthetic mind. 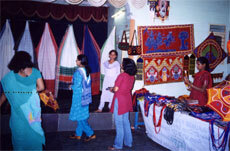 Every year ORUPA organizes 5/6 such programmes known as Design Development Programme. 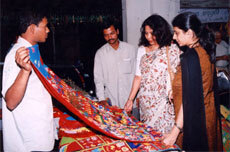 These are imparted to the artisan members at different times to develop their entrepreneurial capabilities. It includes leadership style pricing and costing analysis of products, account & record keeping, material management, customer satisfaction etc. During the times of natural calamity such as cyclone, flood etc., ORUPA takes up construction of work sheds, houses etc. for its artisan members. It is also helping individual artisan members at their time of need. For regular dissemination of information to the artisans, a half-yearly magazine called "HASTAKALA" is published in English & Oriya. The magazine assembles market information on handicrafts, success and failure stories of craft and craft persons, new designs developed, events taking place in the handicraft sector, interview of artisans and craft-group related poem etc. ORUPA has taken initiative to promote thrift 85 credit activities at the group level. This helps in fostering saving habits among the members. As per the requirement of the member artisans and its SHG members, ORUPA provides financial assistance to needy artisans in the form of raw material. Every year ORUPA presents three awards for better craftsmanship in its Annual General Council Meeting. 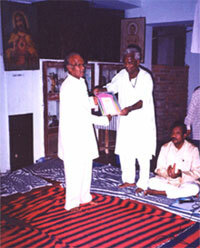 Besides that an old-age artisan is also honoured for his service to keep the traditional art intact. Since its inception, the aim with which ORUPA is working is to provide a permanent marketing network to its member artisans. The major objective of the marketing wing includes not only safeguarding the craft persons' interest but also that of the customers' and art connoisseurs together in a common platform thereby reducing the middleman's hold and ensuring a fair deal for both the parties. It tries to provide the overall marketing support which is the most essential factor for the artisans as it helps to increase their income and thereby improve there living standards. With the involvement of members it tries to provide services to them through different outlets to sale their products in an effective way. 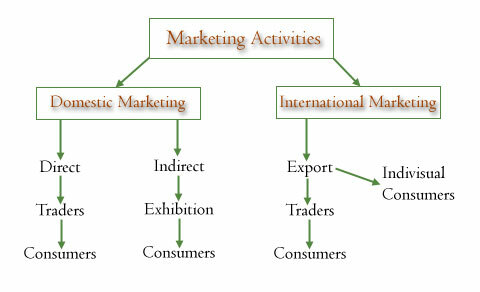 The different method of Marketing that ORUPA follows are through Export Promotion, Order sales, Exhibition and Show room.